10. Memory pairing.No need to pair again every time. 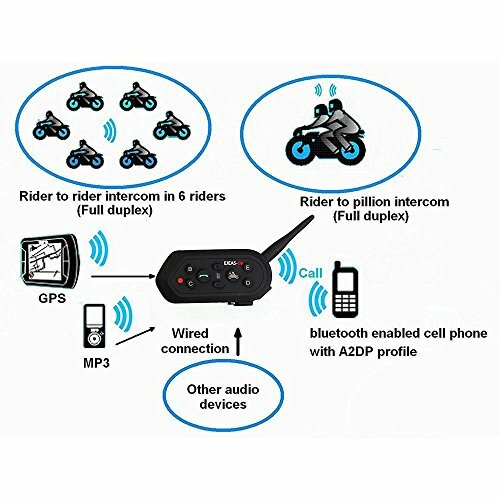 1.During the riding,any changing the setting of this product,cellphone pairing operation is prohibited in order to avoid any traffic accidents. 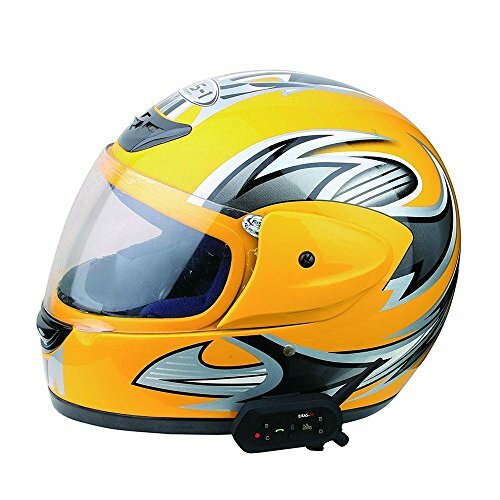 2.If product is smoking,hot,odour,please cut off power supply immediately,and stop using it.So as not to cause an electronic shock,fire and other accidents. 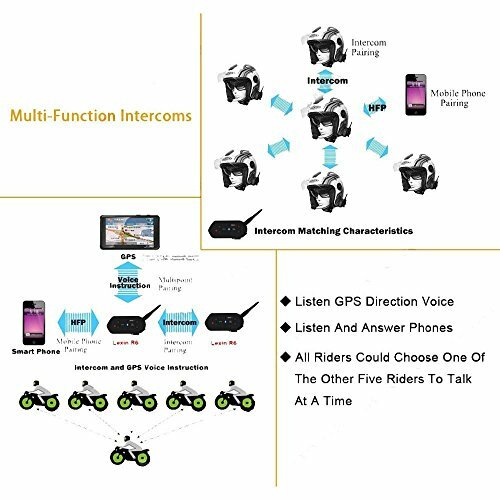 Support 6 riders connection, 2 riders talking at the same time,1300 meters(4,265 feet) maximum talking range,full duplex wireless communication,up to 120Km/h working speed,up to10 hours talk time,200 hours standby time. Auto-receiving mobile call. 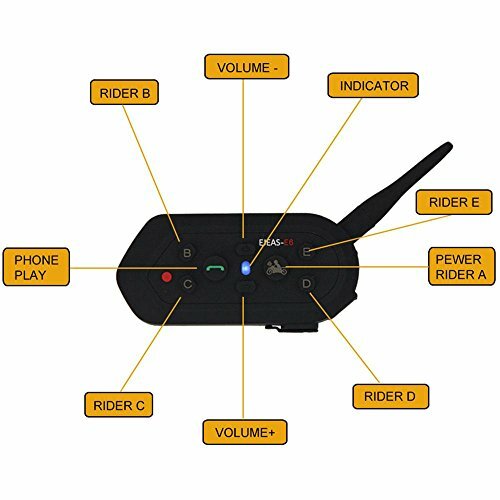 It support wireless hands free communication,you can answer/reject/end the phone call easily.Safe driving while talking with friends. 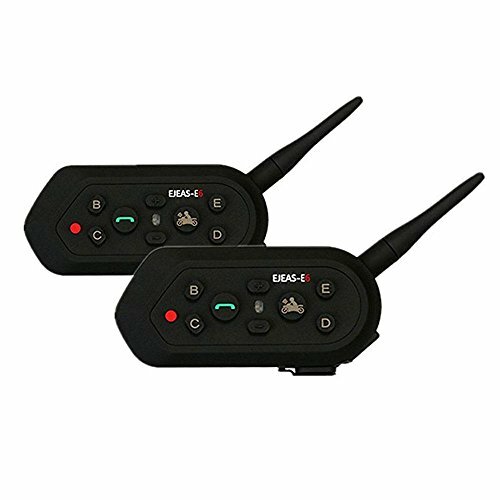 Can pair with MP3/GPS/mobiles,enjoy your music/audio instruciton from your cell phone or audio device by Bluetooth 3.0, with DSP noise echo cancellation. 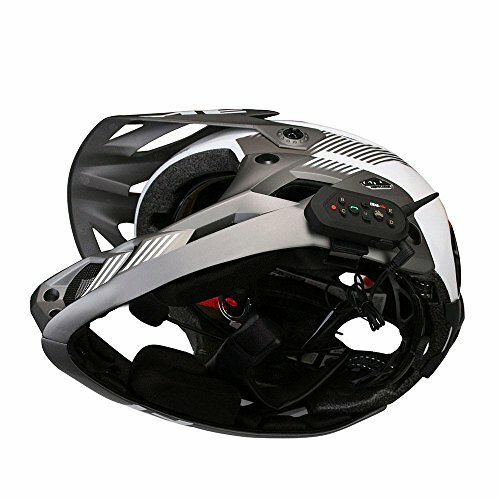 Plastic + Rubber button, more stable structure, better waterproof performance.This system is fully weather protected.Great for couple, lovers, family, buddies, motorcycle ,motorbike,sport, riding lovers, gift ideals. 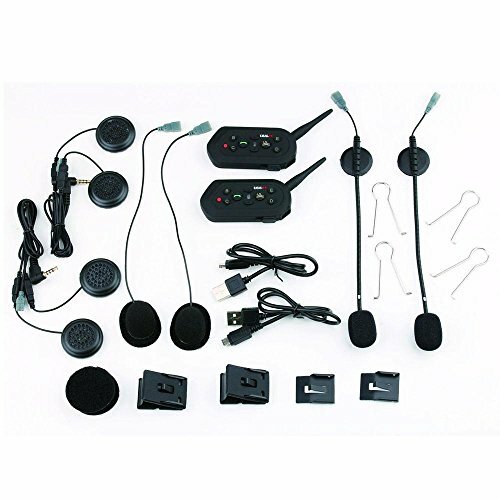 Compared with V6,the E6 bluetooth intercom quality and functions has some improvement as follows:1,Add Voice instructions,low power warning,USB charging interface.2,Upgraded intercom and earphone,the size is smaller and more convenient,the sound is better.